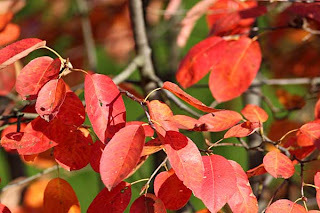 When we purchased our serviceberry (Amelanchier canadensis), we bought it especially because of its awesome fall foliage. It did not disappoint, as the images I took recently attest. The serviceberry is also called shadbush or Juneberry. In spring we admire its delicate white flowers, which soon turn into tasty red berries (just ask cedar waxwings or robins). 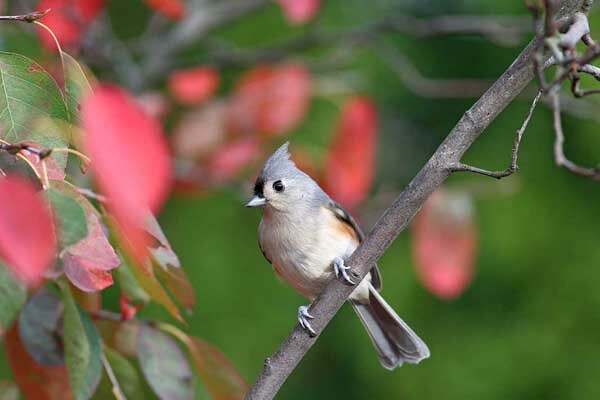 It puts on its biggest show in October when its leaves turn into a bright red burst of color. Unfortunately, superstorm Sandy knocked many of the leaves from its branches. But we know that next year, we will enjoy our serviceberry all over again.